Map It! 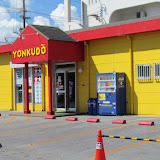 Okinawa: "Yonkudou - Awase's Toy Model & Remote Control Car Store"
"Yonkudou - Awase's Toy Model & Remote Control Car Store"
Not an attraction, but a toy model store for those who are model enthusiast. These models are for teenagers and above due to the complexity of the models. The building is a bright yellow. You can't miss it, which is probably why I am writing about it. I was just curious on what they were selling here. I can't vouch for the price comparison with other stores. There is a Toys R Us not far from here, but this store may carry certain models that other stores may not. They also have some remote control cars and planes as well. Japan has some really cool toys and this place might be a place to get some unique models and a place to get a cool gift for a model enthusiast back in the U.S. or elsewhere. See the picture album above to see the kind of models they have. They have model war tanks, battle ships, Gundam robots, etc. The store is next to a grocery market and there is parking space available. The worker did not speak any English. 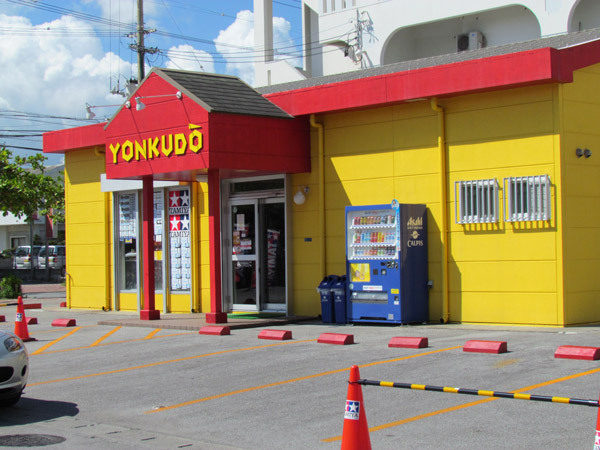 Other hobby stores in Okinawa. Modelers Core (Okinawa City), R/C Paradise (Kadena).